It is simply a statement of fact that WiFi – or connectivity – has become the 4th utility for the 21st century household. According to Business Insider Intelligence, people have an average of 11 connected devices running in their homes, and that number is expected to double by 2019. Think about it… Not only do we need WiFi on our phones, tablets and laptops, we also need it for the ever growing list of WiFi connected appliances being added to our homes. Smart devices like thermostats, smoke detectors, security cameras, garage door openers, smart watches, doorbells, locks, and refrigerators can all be dependent on network access. And because these devices are always on and must be ready on demand, your WiFi needs to be reliable at all times, and in all corners of your home! 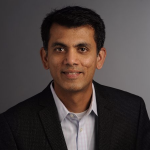 Because NETGEAR has been in the business for 20+ years, we know networking and we know what goes into building a solid WiFi network. When NETGEAR designed the Orbi Tri-band WiFi system, it was engineered with the idea of expanding networks in mind. 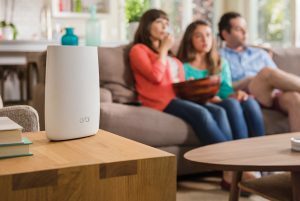 Since the introduction of Orbi 6 months ago, WiFi systems in general have been quickly added to an increasing number of households all across North America. NETGEAR’s Orbi does not only make your WiFi speeds faster; its dedicated Tri-band, which acts like a virtual or invisible Ethernet connection between the Orbi router and its satellite, makes your home WiFi blazing fast when there are many devices running at the same time, all while eliminating dead spots. 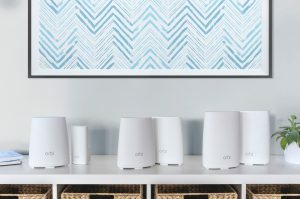 And just last month, NETGEAR expanded its Orbi from one product into an entire line, a family of WiFi systems to suit the needs of a broader range of households, in regards to size and pricing. 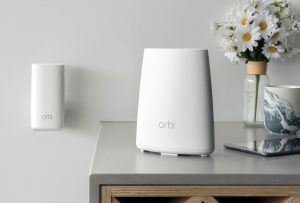 So whether you live in a smaller apartment, or in a huge mansion, if you are unhappy with your current WiFi connection, you can look to Orbi to solve your woes. Orbi is an easy improvement to your home and it requires no IT expertise to get you up and running in minutes. You just plug it in, and do a simple setup through our browser or mobile app, and before you know it, you have fast reliable WiFi throughout your whole home, regardless of how many devices are on the wireless network at the same time. Don’t wait on buffering any longer, with NETGEAR’s Orbi. For a ~2,000 sf home, do you recommend using only the Orbi router (without the satellite?) I have been testing my wifi and I consistently get better speeds when the satellite is not in use. Is this normal? Thanks for the marvelous posting! I genuinely enjoyed reading it, you might be a great author.I will be sure to bookmark your blog and will come back someday. I want to encourage you to ultimately continue your great work, have a nice day!